Summerfest: Ask and You Shall Receive. Stevie Wonder coming to Summerfest! Ask and You Shall Receive. 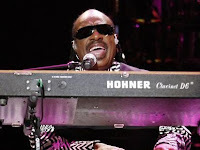 Stevie Wonder coming to Summerfest! Stevie Wonder will play the Marcus Amphitheater during Summerfest. Stevie Wonder tickets go on sale through Ticketmaster the 29th of March. There are four different price points to choose from. This is the second leg of Stevie's tour. He has been on and off the road for a while now. I have read nothing but incredible reviews of his show. Looks like a must-see for the Summerfest crowd. I love 70's classic rock.